After winning the ‘Grantmaking and Funding’ award at this year’s Charity Awards, Family Fund and its trading subsidiary, Family Fund Business Services (FFBS), have now been shortlisted for the Charity Times Awards 2018, in the ‘Corporate Social Responsibility Project (CSR) of the Year’ category. They have been shortlisted for setting up an innovative, socially responsible business model in FFBS that uses the charity’s grant-making expertise, developed over the past 45 years, to provide grant administration and fulfilment services to charities, local authorities and housing associations, helping them to save time, money and, most importantly, to deliver vital support to their beneficiaries. Since 2013, FFBS has supported 47 organisations to deliver over 500,000 grants to beneficiaries, adding £1.3 million of additional value for customers through product rebates, helping their funds go further and extending their reach. FFBS donates its profits to Family Fund, and has gifted almost £3 million of unrestricted income to the charity to date, enabling Family Fund to deliver even more support to families raising disabled or seriously ill children and young people. Family Fund is the UK’s largest charity providing grants for these families. It provides essential grant support for a wide range of items, such as kitchen appliances, beds, family breaks, clothing, computers and tablets, and sensory toys, to help break down some of the barriers these families face. An independent judging panel has shortlisted the entries and will select a winner in each of the 27 categories. The winners will be announced at the official awards reception at The Park Plaza, Westminster Bridge, London on 3 October 2018. “It is an achievement by all involved to be shortlisted for the Corporate Social Responsibility Project of the Year. It recognises the dedication we have as a Group to sharing our 45 years of experience in providing grants and services to support other grant-making organisations. 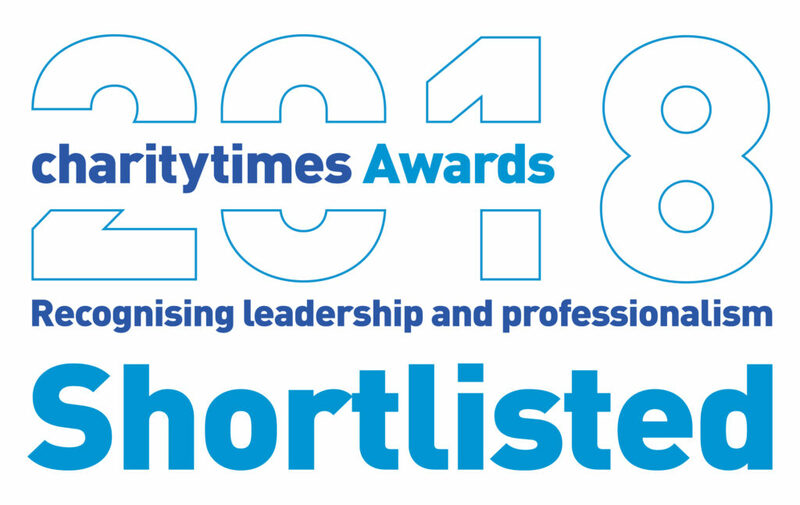 “We are delighted to be shortlisted alongside our parent charity for The Charity Times Awards 2018 within the Corporate Social Responsibility Project of the Year category. Generating unrestricted income for Family Fund and creating value for other charitable organisations is at the very core of why we do business. The nine strong judging panel boasts a wealth of experience from the charity and social enterprise sector, each of them leaders in their own fields. The judges include Zoe Amar (Founder and Director, Zoe Amar Communications), John Dowie (Senior Investment Analyst, Asset Risk Consultants), Esther Foreman (Director, The Social Change Agency), Ellie Hale (Associate, CAST), Dame Mary Marsh (Independent Director), Dawn Mcnish-Walrond (Director of Business Development and Events, Charity Finance Group), Professor Paul Palmer (Professor of Voluntary Sector Management and Associate Dean for Ethics, Sustainability and Engagement, Cass Centre for Charity Effectiveness), Louise Thomson, (Head of Policy (NFP) ICSA). For more information on the awards, visit http://www.charitytimes.com/awards/. You can follow the awards on Twitter using #CharityTimesAwards. Winners will be announced on the website following the event. This entry was posted in Awards, Charities, Events and tagged Awards, Charity Awards, Charity Times Awards, Corporate Social Responsibility, CSR, Family Fund, family fund business services, FFBS, Shortlisted. Bookmark the permalink.